Day 1 of the Spring Parhelion Series saw 15 boats ready to race but with a mid-morning low water and light Easterly breezes it proved a testing day for both the Race Officer and competitors with long downwind legs and even a downwind start for Race 1! 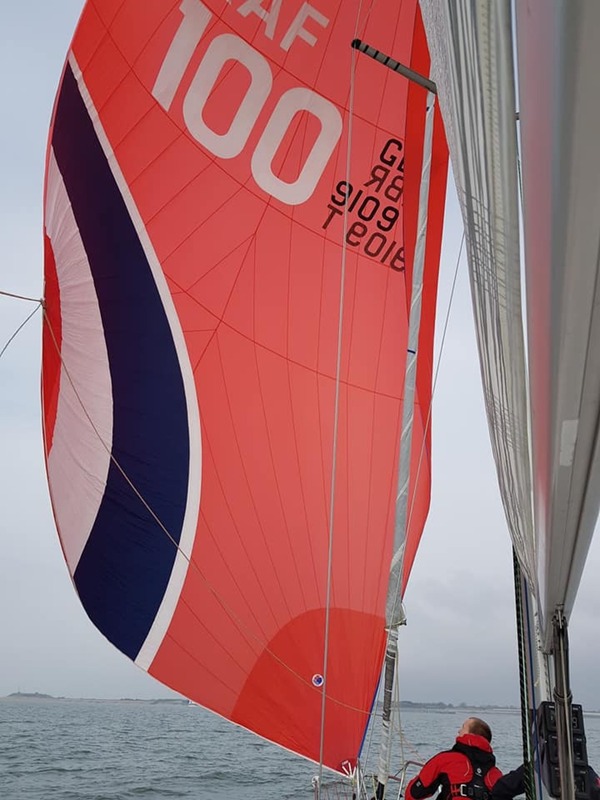 Two races were completed and results across all fleets were interesting and varied but Red Arrow (sporting their new 100th birthday 'kite') and Maggie May both appear to have had a very solid start to the series with 1st and 2nd places in NHC, IRC and Club. It was good to see Parhelion newcomers Spirit of Kudu and Option going well and posting good results in the NHC fleet. We are looking to forward to our second Saturday racing on 7 April, hopefully with a little more breeze!